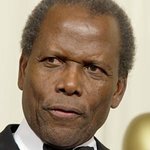 Event chair and host Barbara Davis has announced that Sir Sidney Poitier will be honored with the “Inspirational Lifetime Achievement Award” at the 2016 Carousel of Hope Ball on Saturday, October 8. Additional honorees at the black-tie event include Jane Fonda, David Foster, and Sherry Lansing, each of whom will receive the “Brass Ring Award” for their humanitarian efforts and continued support of the cause. The “Brass Ring Award” was named after the elusive brass ring that carousel riders would try to catch when the ride first became popular. Now universally recognized as a symbol of achievement, the brass ring represents the ultimate goal of finding a cure for diabetes. Each of the “Brass Ring Award” recipients exemplifies the dedication and strength that brings the Children’s Diabetes Foundation and the Barbara Davis Center one step closer to finding a cure. Past “Brass Ring Award” recipients include Frank Sinatra, Halle Berry, Hillary Clinton, Stevie Wonder, Whitney Houston, George Clooney, and more. Anjelica Huston, Quincy Jones, Carole Bayer Sager, and Denzel Washington will take the stage as presenters for Barbara Davis’ gala in October. Jay Leno and David Foster will reprise their roles as Master of Ceremonies and Music Director respectively. Clive Davis and Quincy Jones will serve as Music Chairmen, while George Schlatter returns to produce the show. This year marks the 30th Carousel Ball, where guests will enjoy cocktails, silent and live auctions, dinner, exciting entertainment, and musical performances. The 2016 ball will be a “Celebration of Hollywood,” and its essential components of strength, power, and talent. Since its inception in 1978, the iconic event has been a Hollywood favorite, uniting entertainment industry leaders from all areas for a night dedicated to raising awareness and, ultimately, finding a cure for diabetes. Diabetes, which afflicts over 30 million people in the United States alone, is rapidly on the rise. It is estimated that one in three babies born today will have diabetes in their lifetime and each year, approximately 50,000 Americans are diagnosed with type 1 diabetes. Of those, 25,000 are children. The Carousel of Hope Balls have raised more than $100 million to date, with proceeds benefitting the Children’s Diabetes Foundation and the Barbara Davis Center for Childhood Diabetes (BDC). Funds are raised through sponsorships, a live and silent auction, and contributions. Rated #1 Benefit in Southern California by Bizbash for multiple years, this star-studded evening is not to be missed. The 2016 Carousel of Hope Ball is generously sponsored by American Airlines, Dexcom, Inc., The Grove/Tina & Rick Caruso, St. Regis Hotels, and Activision Blizzard. Additional sponsors include GUESS? Inc., CBS, HBO, Viacom/Paramount, NBCUniversal, 20th Century Fox Film, and The Coca-Cola Company.